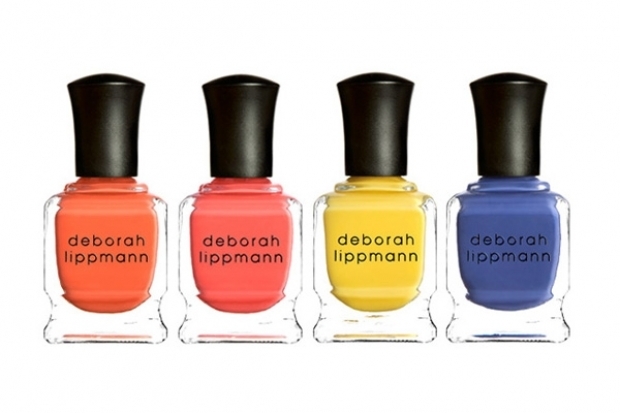 Deborah Lippmann Summer 2011 Nail Polish Collection. If you're ready to embrace the hottest fashion trend of the season, the color block trend, your nails should definitely match this bold new look. The hot new nail polish hues from the Deborah Lippmann summer 2011 collection are certainly an alluring option as they are bold, yet easy to wear, fashionable, fun and irresistibly glamorous. As the months go by and the hot season rapidly approaches, most fashionstas are eagerly letting go of subtle pastel nail lacquer shades in favor of the brighter, more vibrant 2011 nail color trends that will put them in the spotlight in the party season. Finding the perfect vibrant colors while making them suitable for virtually everyone is a challenge that the Deborah Lippmann brand has managed to tackle with trendy colors. Inspired by the glorious decade of the 80s, the collection has a subtle vintage vibe. Staying away from the usual shimmery hues that are so popular during the hot season, the brand adopts a fresh perspective that adds a much needed diversity to the options available for the summer 2011 season. The rich, creamy base of the nail lacquers is one of the aspects that most defines the collection, distinguishing it from the multitude of seasonal collections from other brands. The color choices, undoubtedly inspired by the latest fashion trends, reflect a playful attitude that triggers summer holiday memories by reminding us about all the wonderful elements associated with them. These fabulous shades can be purchased for $16 dollars each. If you've found the ideal shade for you in this Deborah Lippmann collection, don't hesitate to make a purchase soon, as they will only be available for a limited amount of time.